Place into oven, uncovered, and lower heat to 350°F. Cook for 1 hour, remove to baste. If wings are looking dark, you can cover them with aluminum foil. Return to oven and roast for 30 more minutes; baste again. Cook for another 30 minutes, and baste. Cook time is 2 to 2½ hours, or when your breast reaches 170°F. 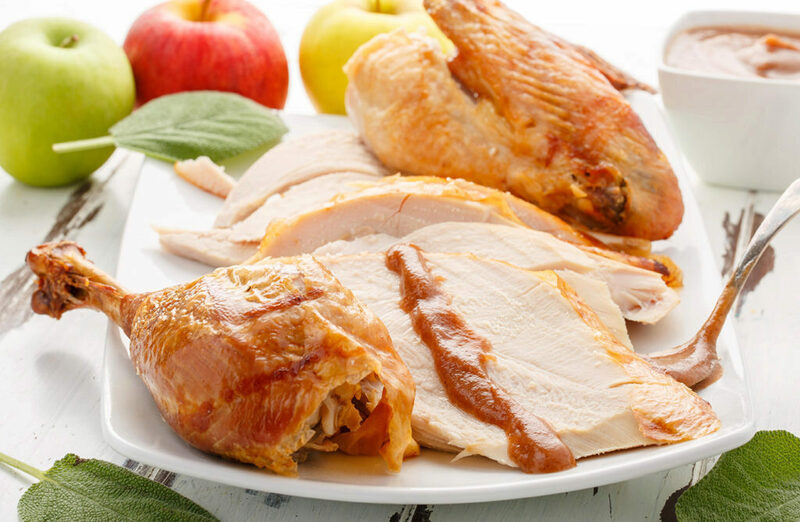 Note: If brining your turkey, don't salt your turkey afterwards, it will be salty enough! 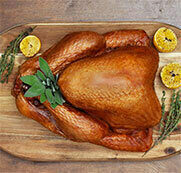 No need for oil or butter on the skin as the drying in the fridge will result in a crispy turkey skin!